HARRISBURG, Pa. (AP) — Pennsylvania lawmakers took the oath of office Tuesday, convening in the state Capitol on New Year’s Day under a state constitutional mandate they meet on the first Tuesday of the year. Forty-two House members and seven senators were sworn in for the first time after winning elections in November. Both chambers have smaller but still substantial Republican majorities compared to last session, 110 to 93 in the House and 29 to 21 in the Senate. There are two vacancies among the 93 House Democratic seats, and a Republican senator is expected to step down and be sworn in to Congress later this week. The 43rd House freshman, Rep.-elect Liz Hanbidge, D-Montgomery, will likely be sworn in later this month, after she returns from her honeymoon. The biggest change in leadership is in the House, where Rep. Bryan Cutler took over as majority leader, replacing Rep. Dave Reed, R-Indiana, who did not seek re-election to the Legislature. Cutler urged members to “learn one another’s life stories in a personal and meaningful way,” recounting details of his own background in Lancaster County. The House voted 142-58 to approve rule changes that including having the Ethics Committee investigate sexual harassment allegations, to cut from 24 hours to 12 hours the time that must pass before a final vote on an amended bill and to allow people who are not legislators or religious leaders to give the House’s opening prayer. DETROIT (AP) — U.S. Catholic bishops will begin a weeklong prayer retreat at a seminary near Chicago to reflect on the clergy sexual abuse scandal. The gathering begins Wednesday, a day after The Associated Press reported that the Vatican had blocked U.S. bishops from taking steps last year to address the crisis. Organizers say the retreat will focus more on prayer than policymaking. Victims of abuse say it won’t be enough. PHILADELPHIA (AP) — Authorities say a man slipped and impaled himself on a statue during the annual New Year’s Day Mummers Parade in Philadelphia. Fire officials say the man climbed onto the George Washington statue in Eakins Oval around 4 p.m. Tuesday, slipped and impaled himself on a statue below. The man has been taken to Hahnemann Hospital where he is being treated for non-life threatening injuries. 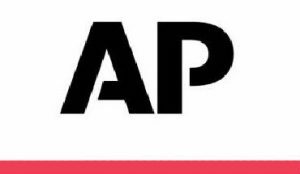 LAKE CITY, S.C. (AP) — South Carolina’s congressional delegation wants a post office to be named in honor of a 19th-century postmaster who was lynched because he was black and refused to resign. The state’s entire Washington delegation co-sponsored a bill to name Lake City’s post office after Frazier B. Baker, The Post and Courier reported . Baker was a schoolmaster in Effingham when President William McKinley named him Lake City’s postmaster in 1897. An intimidation campaign began almost immediately, starting with letters warning him to stay out of Lake City. That summer, he was shot after refusing to appoint a white deputy to do post office business. “He did not give in,” Baker’s great-niece Dr. Fostenia Baker told the newspaper. “He was an educated man, and he believed that he should be able to serve his country as any other man.” People tried to drive Baker out in January 1898 by burning the post office to the ground. Instead, he moved his family to the city’s outskirts and set up a post office there. WASHINGTON (AP) — Human feces, overflowing garbage, illegal off-roading and other damaging behavior in fragile areas were beginning to overwhelm some of the West’s iconic national parks, as a partial government shutdown left the areas open to visitors but with little staff on duty. “It’s a free-for-all,” Dakota Snider, 24, who lives and works in Yosemite Valley, said by telephone Monday, as Yosemite National Park officials announced closings of some minimally supervised campgrounds and public areas within the park that are overwhelmed. “It’s so heartbreaking. There is more trash and human waste and disregard for the rules than I’ve seen in my four years living here,” Snider said. The partial federal government shutdown, now into its 11th day, has forced furloughs of hundreds of thousands of federal government employees. This has left many parks without most of the rangers and others who staff campgrounds and otherwise keep parks running. Unlike shutdowns in some previous administrations, the Trump administration was leaving parks open to visitors despite the staff furloughs, said John Garder, senior budget director of the nonprofit National Parks Conservation Association. ORLANDO, Fla. (AP) — Winning 10 games, beating Penn State on New Year’s Day, and finishing in the Top 20 is no small deal for the Kentucky Wildcats. So when Mark Stoops took a seat on the podium flanked by linebacker Josh Allen and running back Benny Snell Jr. after Tuesday’s 27-24 victory in the Citrus Bowl, the coach understandably was beyond excited. “It was extremely important to this team, to all of us, to come home with some hardware, to come home with a trophy,” Stoops said. Miami at Cleveland 7:00 p.m.
Dallas at Charlotte 7:00 p.m.
Atlanta at Washington 7:00 p.m.
Orlando at Chicago 8:00 p.m.
Minnesota at Boston 8:00 p.m.
Detroit at Memphis 8:00 p.m.
Philadelphia at Phoenix 9:00 p.m.
Oklahoma City at L.A. Lakers 10:30 p.m.
Pittsburgh at N-Y Rangers 7:00 p.m.
Calgary at Detroit 7:00 p.m.
Vancouver at Ottawa 7:00 p.m.
New Jersey at Dallas 8:30 p.m.
Edmonton at Arizona 9:30 p.m.
San Jose at Colorado 9:30 p.m.
(23) Oklahoma at (5) Kansas 9:00 p.m.
Utah St. at (6) Nevada 11:00 p.m.
Northwestern at (8) Michigan St. 8:30 p.m.
(11) Texas Tech at West Virginia 7:00 p.m.
Harvard at (15) North Carolina 7:00 p.m.
Tulsa at (19) Houston 8:00 p.m.
(24) Nebraska at Maryland 6:30 p.m.